No, I mean… I REALLY SUPER LOVE FIGS! One of the reasons I really super love them is because they (like persimmons, which I also super love) are very seasonal. There’s no way to get around it; you cannot find a good fresh fig in April or December. It’s just not going to happen. And I’m okay with that. If they were available all year round I probably would not enjoy them as much. So when figs arrive in mid to late summer, I relish every opportunity to eat them! 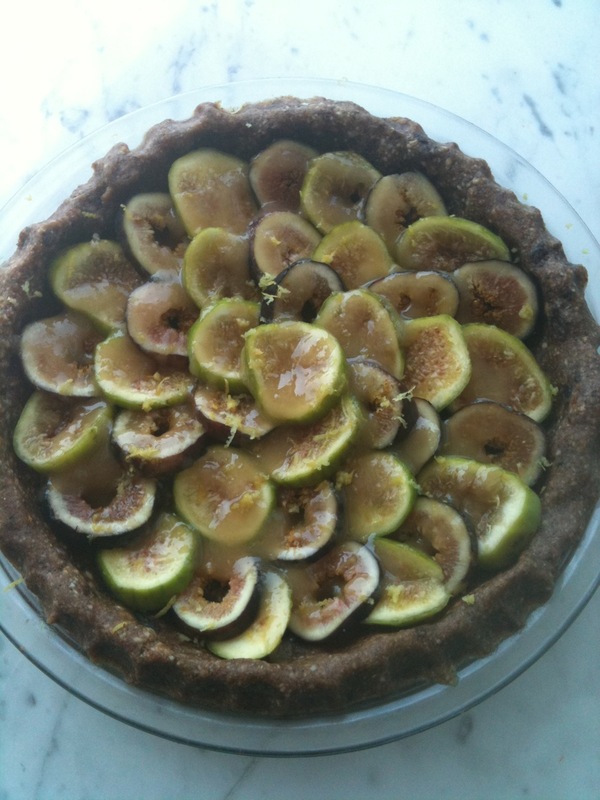 Here’s a great raw fig tart for your summer gatherings. Whether your guests are Gluten-free, Paleo, Raw, or Vegetarian you can be assured that they will all love this treat. It’s even won over regular everyday folks who are still eating McDonald’s and other junk like that. They love it too (I have proof). The crust is based on my lemon apple bars except it should be more sticky than a bar (which is more nutty). 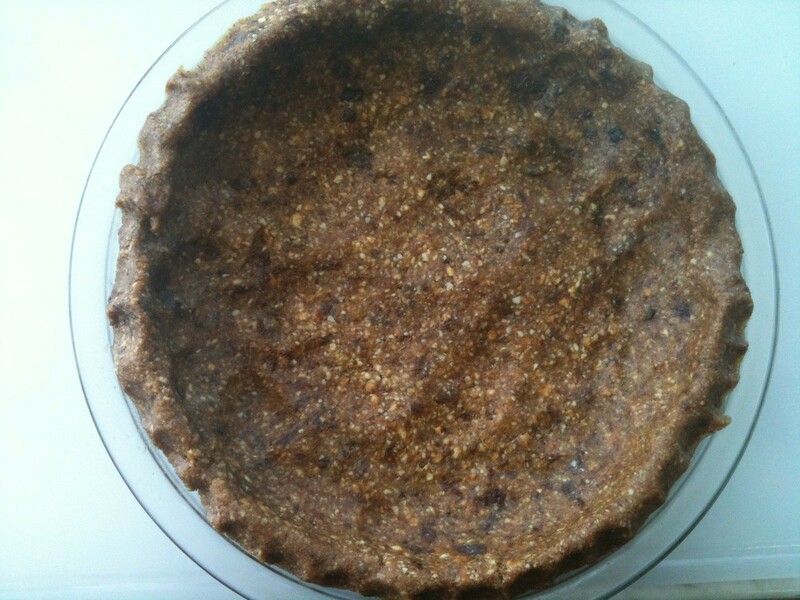 In a food processor, combine apples, almonds, dates, raisins, lemon zest, lemon juice, cinnamon and salt. Press into a glass pie plate. Wash figs and slice into rounds. 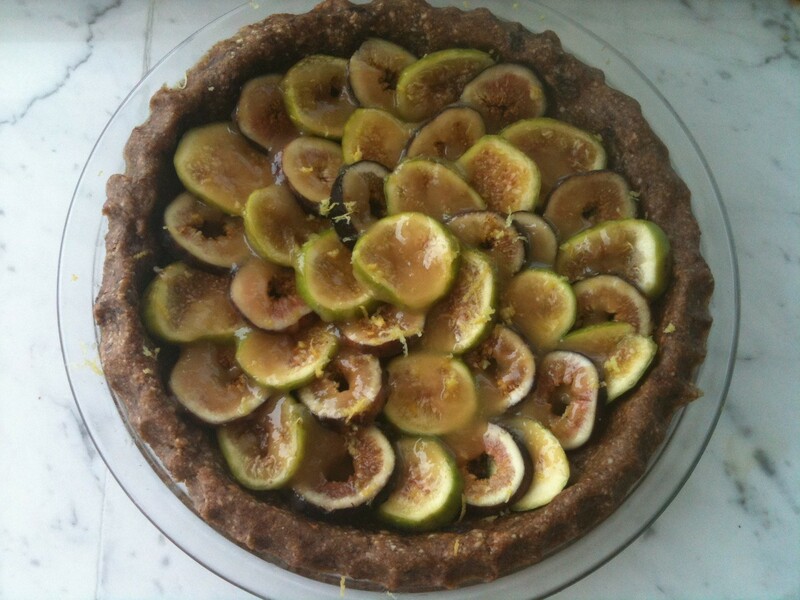 Arrange figs in the crust. Drizzle with some local, raw honey and some lemon zest.